Throughout my career I’ve read over one hundred books on building wealth, and even more on the topics of success and business. One of my favorite business management books of all time is The Fifth Discipline, by Peter Senge. It’s about how systems are critical to creating a learning organization which, if done correctly, leads to a business’s sustained success. As a First Generation Millionaire, I’ve learned that an effective framework – a system—is also mandatory to successfully building wealth. In order for a system to work, every essential part must be present. By definition, a system has several pieces working together to produce a desired outcome. The right system, properly functioning, is capable of consistently producing great results. The weakness is if one small part is missing or breaks, the whole system may crash. In developing a new system, it sometimes takes years of trial and error to define its key parts and then get them working together to produce the desired result. That’s how it was for me in trying to figure out a system to reach my financial goals. The wealth system I developed on my journey to become A First Generation Millionaire has four mandatory parts—I call them wealth drivers–all working together, that created a grand result. Each of the 4 wealth drivers contributes to building wealth in an indispensable and additive way. First is to reduce your expenses so they are solidly below your income. I refer to this spending as your Burn Rate, since we all ‘burn’ cash to meet our daily expenses. If you Lower Your Burn Rate below your income, you will create excess cash to invest. Second is to boost your income by increasing the value you create for others. I call this Maximize the Value of You. Third, the extra cash created when you Lower Your Burn Rate, and the increased income when you Maximize the Value of You, must be invested in Your Wealth Generating Machine (WGM). Your WGM does its part by delivering a reliable stream of investment income, while operating within your tolerance for risk. Finally, these first three drivers are synchronized and guided by Your Wealth Success Plan, which acts just like your navigation app, prompting you to reach your destination, on time. These four drivers work together, as a system, inside your own Millionaire Foundry, the figurative production facility that pumps out your wealth. From my experiences of significant trial and error, I found that all four parts of this system must be present and working together, or the risk of failure in reaching your financial goals is tragically high. Some hopeful wealth accumulators may choose to focus only on lowering their Burn Rate, which is a great first step. But it’s nearly impossible to save your way to get rich. Others may place emphasis on increasing their income, but allow their Burn Rate to increase along with it, meaning they are stuck in the same position of not generating investible cash to create wealth. They never leave the paycheck-to-paycheck trap, which is a guaranteed killer of financial dreams as well as your peace of mind. A few may ignore the reality that one must have a repeatable approach to invest their cash to reliably generate more cash. If their approach is random or hit-and-miss, their investments will not provide consistent growth towards their total wealth. Even worse, their approach may cause them to swing for the fences, losing most or all of their hard earned investment cash in one bad move. Finally, some may just hope if they do the right things their finances will turn out right, even though they didn’t invest the effort to develop a long term plan to guide them to the brighter financial future they deserve. The point is that all four drivers MUST be present, no if, ands, or buts. Some future wealth accumulators may get turned off about all this systems talk. But a system can be so powerful that its strengths far outweigh the investment of effort to get it up and running smoothly. Therefore, if you have one but it’s not working yet, it’s worth figuring out what’s missing. Once it’s working, a successful system that’s uniquely right for you can serve you for a lifetime. And if you don’t have one, it’s essential you act immediately. Successfully building wealth depends on it. You can even learn from or borrow parts from the systems that others have built before you — like the 4 wealth drivers — allowing you to get up and running more quickly, and with fewer painful mistakes. In Senge’s Book, he uses the most powerful example I’ve ever read for how success can be denied if even one small piece of a system is missing. The story he shares is of how the McDonnell Douglas DC-3, launched in 1935, was the first plane to make commercial air travel a viable business. It was the first aircraft to meet both the economic and technical requirements for successful, reliable, and cost effective widespread air transit for the masses. 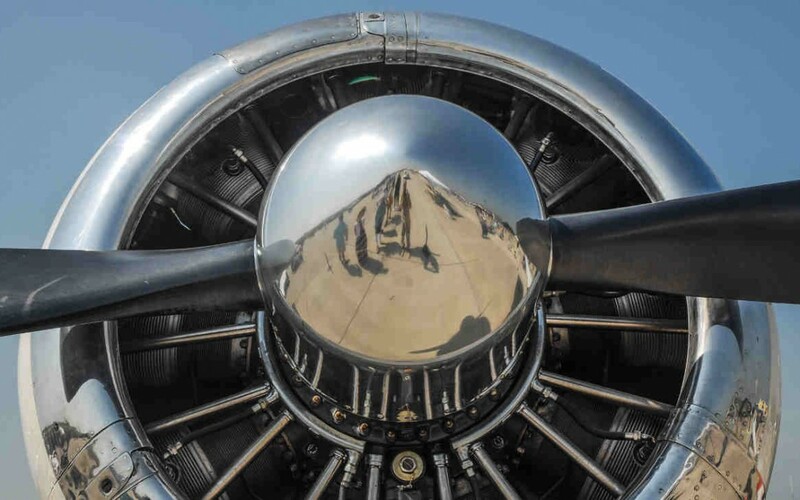 Historians even believe that the DC-3 ushered in the era of air travel as we know it today. A year earlier, competitor Boeing introduced the 247, which proved itself too unstable on take-off and landing. This was disappointing for Boeing because the 247 had four key systems thought to make it an aviation success: variable pitch propellers, a lightweight molded body, radial air cooled engines, and retractable landing gear. The DC-3 later launched with the same four key systems and added a game-changing fifth: wing flaps. This solved the stability issue that prevented the 247 from success. One missing piece of the system—wing flaps—sadly denied the 247 of becoming a blockbuster success. With just the addition of simple wing flaps, the smallest and least costly of the five systems, the DC-3 transformed how people travel. And later aircraft built upon the systems that the DC-3 showed were essential to success. What system are you using today to accumulate wealth? Is it focused on only one facet to the exclusion of others? Is one of the essential wealth drivers I discovered missing from your system? How sad it would be if five or 10 years from now you had not made meaningful progress on your financial goals, only because one small piece of your otherwise viable system was missing or broken. Consider how the addition of lowly wing flaps transformed the DC-3’s future, and the absence of those same flaps doomed the 247. Don’t let one missing piece of your wealth system rob you of the brighter financial future you deserve. Commit today to solving any wealth system shortfalls you may have. Stick with us at Millionaire Foundry to learn more about building wealth, the four mandatory wealth drivers, and so much more.